Looking for a low-cal indulgence? 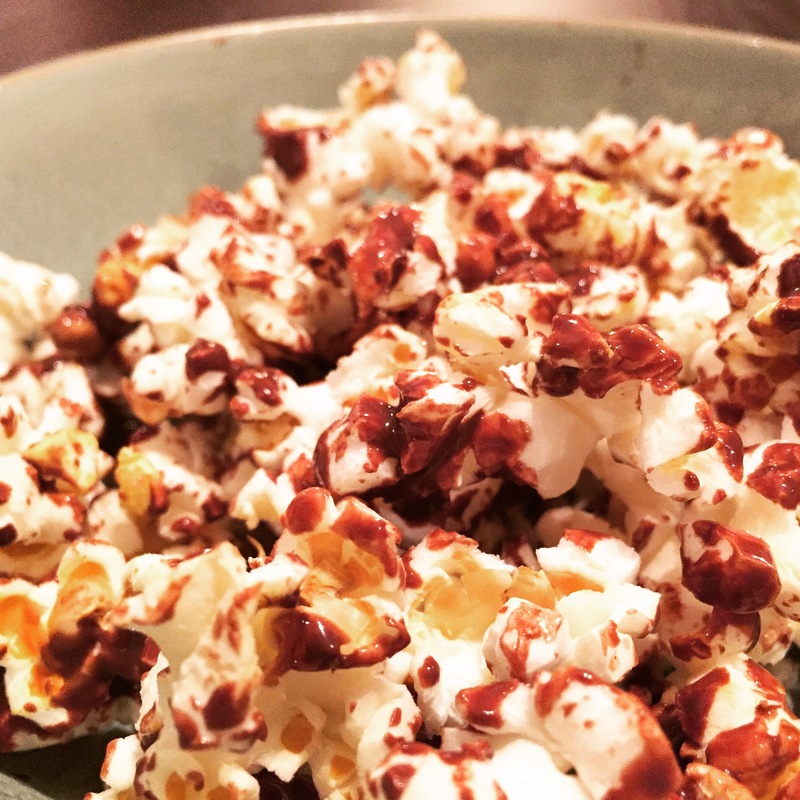 Try this easy recipe for chocolate covered popcorn! The kids are asleep and I’m finally sitting down to watch the Royals game with my hubs. We couldn’t decide between sweet and salty, so I made one treat to meet both cravings! Make popcorn according to package directions. Mix coconut oil and chocolate chips in a bowl. Microwave chocolate mixture for 45-60 seconds, stirring every 10-15 seconds. Pour popcorn into a bowl and drizzle with chocolate mixture. Try to contain yourself until the chocolate is a little less messy. No, wait, don’t. Just go for it.